Desc: Landstrom's Black Hills Gold rose gold floating heart necklace. The rose gold heart slides along the chain without a bale. 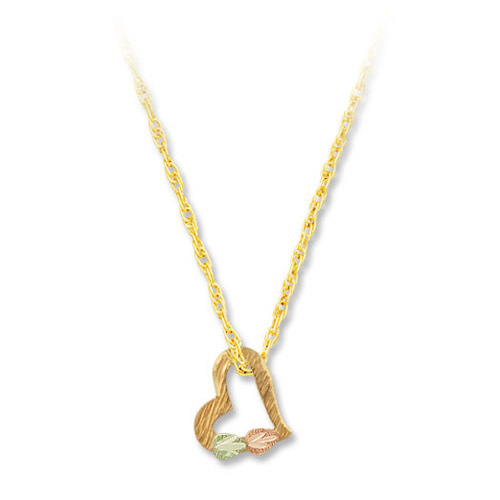 Rose and green gold leaves are on the heart as accents. Made in the United States of America.